What do you hope readers take with them after they read it? People can change. Troy grows into a better man, and we see that reflected through Bridget's responses to him through the course of the story. Also, what you see on the surface isn't always the truth. Michelle judges Troy based on what she sees - a hockey player without any problems, which is a stark contrast to her own life. She discovers there's more to his story. Michelle is dealing with her own problems, beyond the financial pressures that are apparent on the surface. And those rise up unexpectedly. Mostly, I hope readers enjoy these characters, and the journey they take to find their HEA. Kids will lie about their bedtime. "This book is so sweet, delightful, heartwarming and, at times, emotional. I thought it was pretty good. Michelle and Troy were great, relatable characters, with perfect chemistry." Michelle forced herself to glance up, and she saw amusement in his eyes. He thought she was tongue-tied from staring at his naked chest. As if. Yes, she was staring at him, but she could handle an attractive body. It was remembering the past that would bring her down. 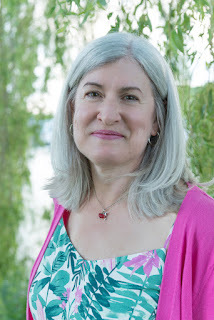 Kim Findlay has crafted an entertaining story that romance fans will enjoy, even those not particularly interested in sports (like me). I look forward to much more from this author." "This is a well-written book. There are things that happen to us in our lives that are hard to deal with and difficult to put behind us. ​This book is a wonderful love story with people who are dealing with many of the hardships we all have to deal with. " What did he want from Michelle anyway? He remembered all his own arguments against dating mothers. They had responsibilities, and that wasn’t something he wanted to take on. And just as important, they had kids, and kids shouldn’t be hurt. Right now, though, the idea of responsibility wasn’t scaring him. It wasn’t a vague thing anymore; these were two kids he was attached to. Being responsible for them sounded okay. Better than okay. Being part of their family tonight, and the taco night...he’d truly enjoyed that. And he’d move heaven and earth to make sure those two weren’t hurt. 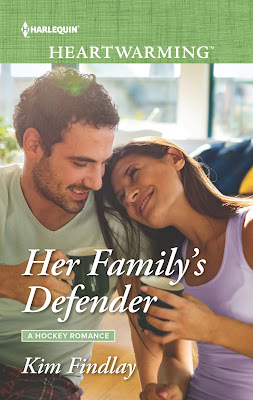 I'd recommend Her Family's Defender to fans of contemporary romance, it was just wonderful." 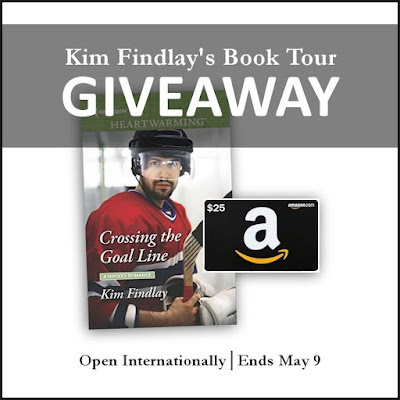 "Her Family's Defender is the Second book in the A Hockey Romance series by Kim Findlay. . . . This is a great family friendly romance and I thoroughly enjoyed it." "If you are craving a sports romance that will make you smile and swoon, with characters you’ll quickly come to care about, then Her Family’s Defender is a great choice for you! The Canadian setting was a nice change of pace and, even though I know basically nothing about hockey, I really enjoyed that dimension to the story as well. Additionally, I loved the role that the characters from book 1 played in this novel despite the fact that I have yet to read their particular story. A cute story with layered characters and a sweet message!" I liked Michelle. . . . I enjoyed their family dynamic, and especially enjoyed the way Troy fit right in. ...I enjoyed this title and look forward to reading more from this author." “I don’t need a babysitter,” Angie spat out, giving her mom the side eye. “But Mom’s afraid to leave us completely alone at night.” For twelve the kid could really give attitude. “If you don’t want a babysitter, what are you doing here?” Troy asked. Angie sighed, burdened by these slow-witted adults. “Mom doesn’t trust us. She got someone to come for the night, just as if we were babies, but that person canceled. I can take care of my brother. I just need a responsible adult I can call if anything happens,” Angie retorted. “Am I responsible enough?” Troy asked with a grin. 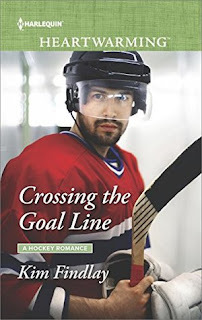 "As a hockey fan who is enjoying cheering for her team in the playoffs, what more could I ask for than a hockey romance? How about one with miscommunication and dislike between the guy and gal? Or with a couple of kids in the mix?" "I really enjoyed this one. . . . This book had all the feels, but also a good amount of humor. I just gobbled this book up." If he was honest, the day he’d been told the cancer was gone had been incredible, in a completely different way. But that victory had been humbling and private, and something he hoped never to repeat again. The Cup he intended to win again if he could. He wasn’t going to tell all that to a twelve-year-old, though, so he simply said that not much could top hoisting the Cup over your head. "Emotion filled and reality laced! From the first page, we are captivated by the emotional journey these two characters are embarking on as they set out to pick up the pieces of their ravaged lives and find a way to carry on. . . . Overall, a solid read." “Is there anything that feels better than winning the Cup?” Angie asked. Troy considered for a moment. When he had taken his turn to hoist the surprisingly heavy hunk of silver and skate it around the arena, he’d thought that had been the best it could get. But then came the cancer diagnosis. It had not been the first time Troy had struggled in his life. Some guys might make it to the top in a pretty easy ride, but Troy came from a small town, with a difficult father, and not much money. He’d been blessed with a lot of talent, but he’d had to work hard. But the fight against cancer was something totally different. He’d felt helpless for the first time since his mother left, and none of his money or talent could force the outcome he wanted.